Why have so many firms in emerging economies internationalized quite aggressively in the last decade? What competitive advantages do these firms enjoy and what are the origins of those advantages? Through what strategies have they built their global presence? How is their internationalization affecting Western rivals? And, finally, what does all this mean for mainstream international business theory? In Emerging Multinationals in Emerging Markets, a distinguished group of international business scholars tackle these questions based on a shared research design. 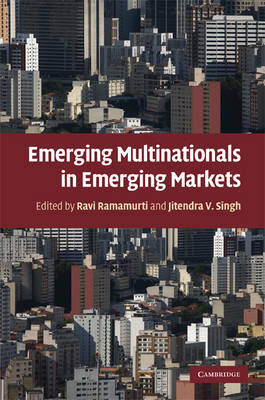 The heart of the book contains detailed studies of emerging-market multinationals (EMNEs) from the BRIC economies, plus Israel, Mexico, South Africa, and Thailand. The studies show that EMNEs come in many shapes and sizes, depending on the home-country context. Furthermore, EMNEs leverage distinctive competitive advantages and pursue distinctive internationalization paths. This timely analysis of EMNEs promises to enrich mainstream models of how firms internationalize in today's global economy.